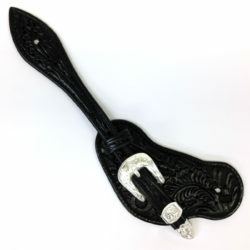 Quality Harris Leather and Silverworks straps without the additional cost associated with silver hardware. 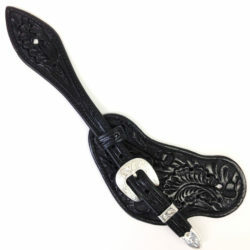 These are the perfect straps for anyone looking for high quality, made in USA spur straps without the expensive price tag. 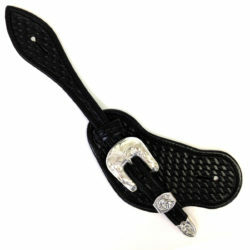 This strap is also a great choice for youth riders that are too big for youth straps. One size fits most ladies boot sizes 5-9.